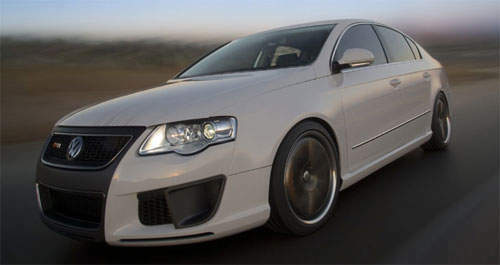 I previously blogged about the Volkswagen Jetta R GT concept, one of the three concept vehicles which Volkswagen AG unveiled at the 2005 SEMA show. Now let’s have a look at the second of the three concepts, which is a modified Volkswagen Passat – the Volkswagen Passat R GT. 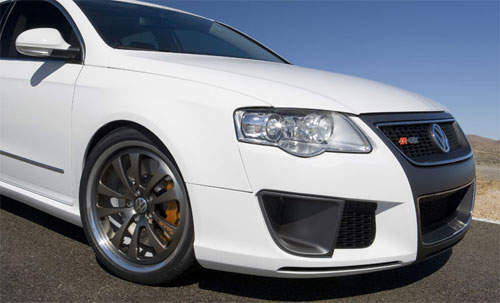 The base vehicle was a 2006 Volkswagen Passat 3.2 V6 FSI, which already had a respectable DSG transmission and 4MOTION all-wheel drive. 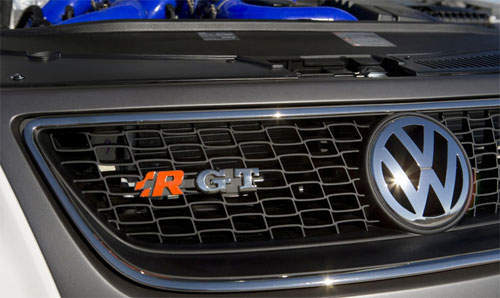 The original 3.2 V6 engine, same one in the Golf R32 was put through a similiar modification as the Jetta R GT, with twin Garrett GT25R ball-bearing turbochargers bolted on, sending compressed air through twin intercoolers to the engine air intake. 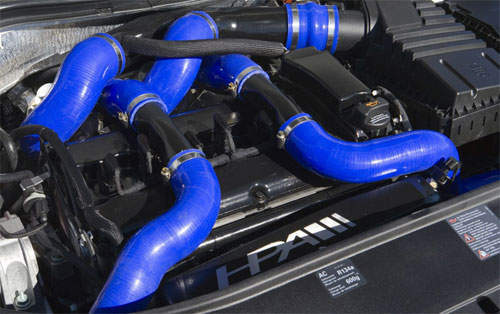 Resulting horsepower output is 575 horsepower. The chassis rides on KW 3-way adjustable coil-over racing suspension, and brakes have been upgraded to Phaeton specification Brembo brakes. 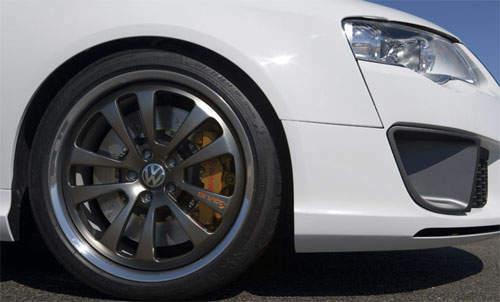 The wheels are same Avus 19″ wheels wrapped with Michelin found on the Jetta R GT concept. Notice the iPods? 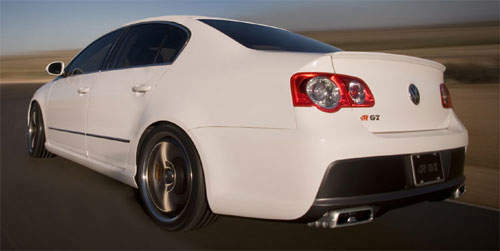 The sound system has a direct interface to Apple’s iPods, and a Sony Playstation Portable is integrated into the back seat. 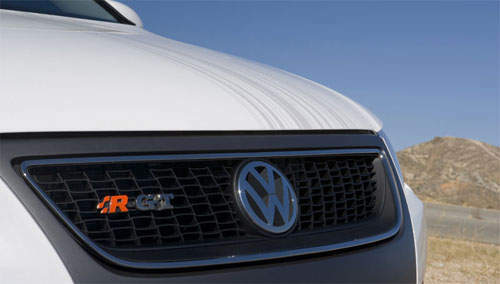 Next Post: Proton-VW updates: 40% stake in manufacturing arm?